At its January Board Meeting, the Massachusetts Board of Library Commissioners certified twenty-two additional municipalities meeting all FY2019 requirements for the State Aid to Public Libraries Program. In total, 327 libraries have met all state aid requirements and have been awarded $4,247,669.12 in state funding. Commissioners also considered waivers of the Municipal Appropriations Requirement (MAR) for seventeen applicants. This is the lowest number of MAR waiver applicants since 2008 and well the below the 2011 high of 123 waiver applications. A rare copper penny that a late Pittsfield man found in his lunch money more than 70 years ago has been sold at an auction for more than $200,000, and all proceeds will go to the city’s public library. Don Lutes Jr., of Pittsfield, was 16 when he found the coin in change he received at his school cafeteria in 1947, according to Heritage Auctions. That’s how parent and Stoughton resident Erin Gomes described coming to the town’s new library, a building which took 18 months to complete. Apparently, hundreds of people felt the same way. To a crowd of nearly 1,000, the ribbon was cut and the new Stoughton Public Library officially opened on Saturday afternoon. There wasn’t an empty aisle or computer chair in sight. 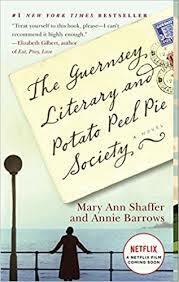 Note: The MBLC supported this project with a $6,875,844 construction grant from the Massachusetts Public Library Construction Program. 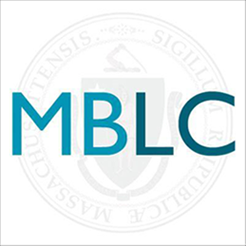 The MBLC is currently seeking a new bond authorization to continue the construction program. Patrons were all over the Quincy library Sunday. People visited to use the public WiFi, work on computers and strengthen their algebra. Matt Hutton, a Duxbury High School freshman, was taking tips from math tutor Yong Na Huang, a senior at North Quincy High School. Hutton said midterms were coming up and he wanted to go into them strong. In a quieter corner in the library on the top floor, Jacquelyn Lungelow set up shop on a table with several papers and her laptop. The Marlborough Public Library Foundation is ramping up its efforts to raise between $2 million and 3 million for the library renovation and expansion a week after city councilors approved funding for the project. The City Council signed off on a $23.7 million bond to pay for restoring the more than century-old West Main Street library. Councilors also formally accepted a $10.1 million grant the state Board of Library Commissioners awarded the city over the summer for the project. Note: The MBLC awarded this project a $10,186,626 grant as part of the Massachusetts Public Library Construction Program. The MBLC is currently seeking a new bond authorization to continue the construction program. A decision on a new (Greenfield) library will have to wait, at least until next month, following a dramatic decision Wednesday to table the City Council vote on the $19.5 million project. The original deadline for the city to match a state $9.4 million grant was Jan. 11, but the library had asked for an extension on Oct. 26 and was granted it on Nov. 1. 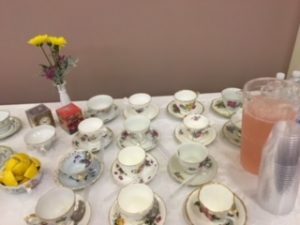 The extension to April 30 was not discussed at last week’s big public meeting that showed an outpouring of public support, and the strength of a strong and vocal grassroots campaign, but it was reported Wednesday. Note: The MBLC awarded this project a $9,378,183 grant as part of the Massachusetts Public Library Construction Program. The MBLC is currently seeking a new bond authorization to continue the construction program. The public library here, in a wing of the sturdy brick Town Hall off of Route 2, isn’t necessarily the best spot for quiet study. The Museum of Fine Arts and the Boston Public Library recently announced a new collaboration, “Toulouse-Lautrec and the Stars of Paris.” The endeavor is part of a greater effort by BPL to showcase the institution’s various collections, prints, and rare books, by making them more available and visible. Throughout June, BPL cardholders will be able to sample MFA membership and participate in programming throughout the library’s 25 branches. Jameson Betters of town, is one of a select group of young people who won a visit to a Boston Bruins game, as a prize for joining the Erving Public Library’s Summer Reading Program. The library participates in the statewide program each year. Betters is shown with Blades, the Bruins’ mascot at Boston Garden. The first ever Play Stem event designed for grades K-4 took place Tuesday at the Franklin Public Library Tuesday with youth services librarian Mitzi Gousi. Zoulas, host of the nonprofit’s 30-minute interview program “Global Village”, said the collaboration first came about when he interviewed Library Director Esme Green. He said he hopes to bring more attention to the library’s available resources, calling it “hidden in plain sight.” As part of the partnership, “Global Village” will feature four 30-minute programs over the next year on the services at the library. Possible topics include the second-floor maker space, which houses a 3-D printer and a computer-controlled vinyl cutter, or Robert Carter, the teen librarian, who plans project-based programs for teens. Episodes will be filmed at the library. It’s almost impossible to find anyone in town who has anything but wonderful things to say about Acushnet Public Library’s “new” director, Dina Brasseur. Since she arrived in Acushnet in the spring of 2015 to take on the job of director — and to coordinate the awesome task of relocating all of the library’s collections from the old Russell Memorial Library to new quarters on Middle Road — folks have been saying good things about the new head of the library. Marguerite “Peggy” Repass has long had a special place in her heart for the Elizabeth Taber Library. Before retiring, she served as the library’s director and now the 98-year-old and her family are spearheading the creation of the library’s Marguerite K. Repass Garden and Entrance, which will feature a new wheelchair ramp, automatic doors and stone benches for outside reading. Every time 11-year-old Jackson Hinchliffe comes to the library, he gives children’s librarian Denise Kofron a hug. He then asks for recommendations for a good book. At the end of the month, Kofron, who goes by “Mrs. K,” will retire after 12 years at the Hopkinton Public Library. Massachusetts is the fastest growing state in the Northeast — with many of its newest residents coming from other countries. That’s according to the latest numbers from the U.S. Census Bureau.